Benefits of Cassava Leaves - 9 Benefits of Cassava Leaves for Health and Its Side Effects. Indonesian people certainly are very familiar with cassava leaves. Not only is Maknyus made a complementary sauce for chili paste, natural treatments using young cassava leaves have long been carried out in Indonesia. Plants with leaf shapes that resemble fingers can be easily found in rural areas and mountains. The nutritional content of cassava leaves in each sheet is: fiber, vitamins A, C, and B1, protein, carbohydrates, calcium, phosphorus, and iron. Therefore, cassava leaves are very good for serving as your daily menu. Fresh Body The carbohydrate content in cassava leaves can produce energy for our body. In addition, the content also helps optimize the function of proteins in building body cells. If it lacks carbohydrates, the body will take protein as an energy source. As a result, the formation of body cells can be inhibited. That is why, consuming young cassava leaves is very important to produce energy from the body. Healthy Body Vitamin C has long been known to have properties to maintain endurance. In order not to get sick easily, we need to consume enough vitamin C.
By diligently consuming young cassava leaves, the needs of our body's vitamin C can be fulfilled and even the immune system will certainly be better. By diligently consuming cassava leaves, we can avoid premature aging. Because the green matter of leaves on cassava leaves can produce antioxidant compounds that can counteract free radicals from unhealthy environments. Antioxidants are also very effective for inhibiting the appearance of fine lines on the face, so that our skin texture will remain smooth and not easily wrinkled. In addition to beauty, the antioxidant content of cassava leaves is also beneficial for health. Antioxidants are very useful to prevent the development of various types of cancer cells. Diet Leaf cassava has a lot of fiber content, so it is very good to consume when doing a diet program. As we know, fiber is very useful for smoothing the digestive process. Thanks to the help of fiber, the food we consume will not be buried in the body, but will soon be processed into energy and the remainder discharged. Not only that, the presence of fiber also makes us feel full longer so that we will not be easily tempted to taste. If so, the body can be slimmer and the body more healthy. Regeneration of Body Cells As we age, the function of body cells decreases. As a result, the performance of the organs of the body becomes less than optimal. For this reason we need adequate protein intake to regenerate body tissues that are beginning to break down. The protein needed by the body is found in cassava leaves. So, consuming cassava leaves means helping to form new body cells so that they can always be in top condition. Myopic Eye To maintain eye health, we need to take vitamin A.
Retinol compounds in vitamin A are able to focus objects that are received by the eye, so that they fall right on the retina and are passed on to the brain. In addition, vitamin A also acts to protect the eyes from free radicals that can attack the retina and the lens of the eye. Conversely, if we lack vitamin A, the eyes can dry out, even the eyelids can swell. Osteoporosis High levels of phosphorus and calcium in cassava leaves are effective in maintaining healthy bones and teeth. Both of these minerals function to meet the needs of the bones so that they are always solid so they are not easily brittle (osteoporosis). For children, these substances are very useful for helping bone growth. Circulatory If you have anemia, eat green vegetables. Apparently, green matter in cassava leaves contains a lot of iron which is useful for forming hemoglobin. Meanwhile, hemoglobin acts to carry oxygen to all body cells. If the body lacks hemoglobin, the number of red blood cells will decrease so we get anemia. If so, the body will become weak, concentration will decrease, our daily activities will also be disrupted. Headache When attacked by anemia, a person will feel dizzy. The head also often feels pain from the blood in the brain lacking oxygen which should be carried by hemoglobin. For this reason, consumption of cassava leaves in sufficient quantities is able to overcome headaches due to anemia. Not only consumed, treatment of headaches with cassava leaves can also be done through external treatment. The trick, mash the cassava leaves until smooth, then compress on your forehead. This method has been proven effective in dealing with headaches. Without realizing it, a lot of plants have benefits around us. Traditional treatment of cassava leaves has been carried out for generations by our ancestors. Not only to maintain health, consumption of cassava leaves is also beneficial for beauty. Because of its high nutritional content, cassava leaves are often consumed by pregnant women because it is useful for meeting the nutritional needs of pregnant women and fetuses. Although it has many benefits, if consumed in high amounts, cassava leaves have dangerous side effects on the human body. 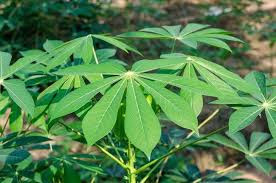 Side effects of cassava leaves if over consumption are: increased cholesterol levels, increased uric acid, increased blood pressure, abdominal pain, headaches, and food poisoning. So, you must consume cassava leaves only within normal limits, because most consumption can be fatal for the body. Thus article 9 Benefits of Cassava Leaves for Health from healthyt1ps.com. If Sayanda's friends have questions about the benefits of young cassava leaves; do not hesitate to ask.